Murder behind the gates of Fremont Place was unusual; two children and a nanny slaughtered in the home of a rich young lawyer and his beautiful wife was unheard of. Shunned cop, Detective Finn O’Brien, and his partner, Cori Anderson, must connect the dots between the L.A. ladies-who-lunch, lawyers who skate on the edge of the law, pornographers, and Hollywood freaks. Following a trail of bodies and shattered relationships, they uncover a horrific truth behind the murders that will either bind them together for eternity or severe their relationship in the cruelest cut of all. 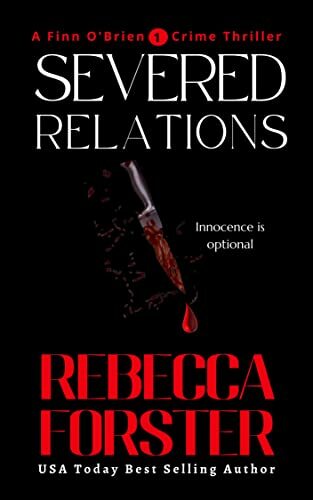 Click here to pick up your free copy of Severed Relations in the Amazon Kindle store. Rebecca is married to a superior court judge and is the mother of two grown sons. 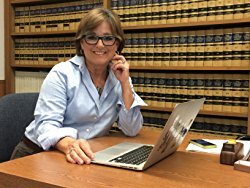 She lives in Southern California but loves to connect with readers around the world. You can visit Rebecca’s Amazon author page if you click here. Looking for more or a reliable source of free books for your Kindle? Click here for my “Free Kindle Books and How to Find Them” book.